Gift Hamper Tray made from sturdy cardboard, tapered to stack easily. 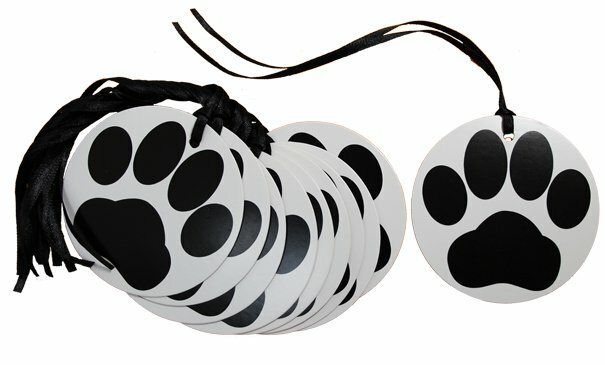 A white background with cute black paw prints scattered all over. Perfect for dog and cat lovers all year round. Measurements are 30 x 20 x 6cm high.